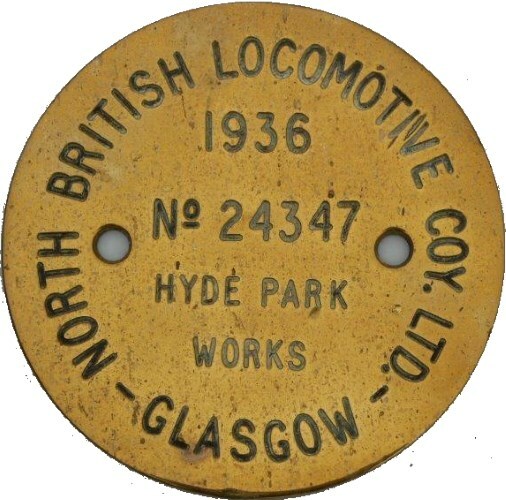 Lot 161 NBL Round Brass Steam Locomotive Worksplate - No 24347 - 1936. As carried by a LMS 4P 2-6-4T LMS No 2591 - becoming 42591. Last Shed recorded 11E BARROW Wdn 9/62. Polished face.